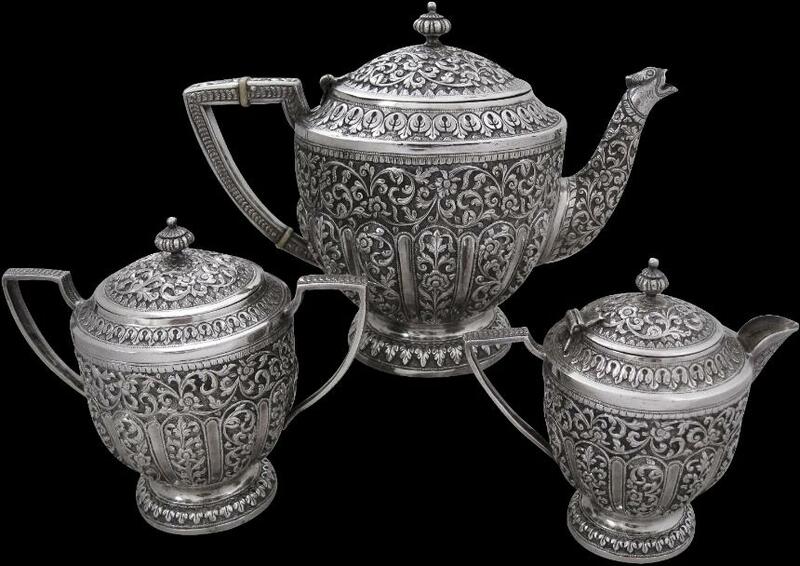 This three-piece tea set is finely chased and embossed with panels of plain arches infilled with scrolling foliage and flowers against a ring-mat background. 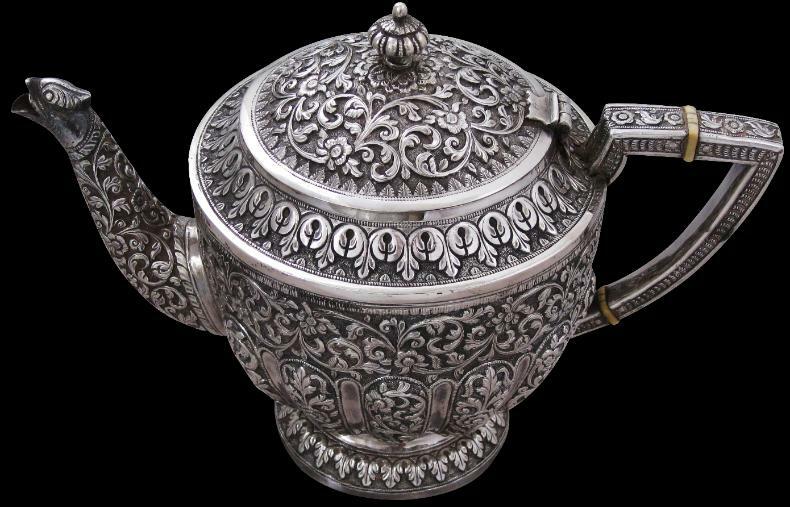 The spout of the teapot has a wonderful parrot-like head. The handle has two ivory insulators. 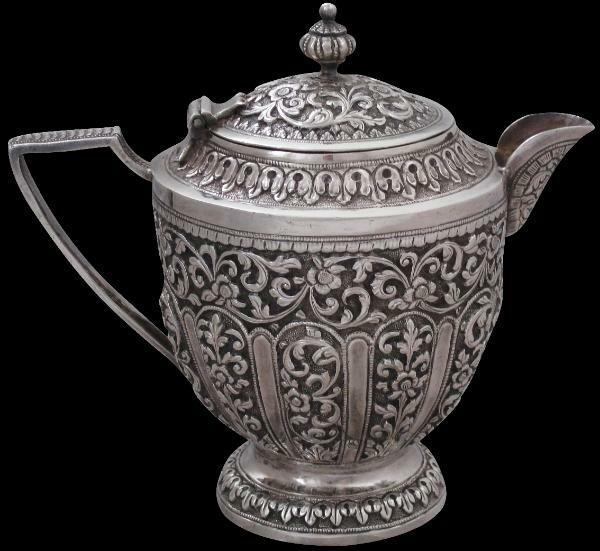 The teapot and the milk jug have hinged lids; the lid of the sugar bowl is not hinged but removable. Each terminates with an elaborate bud-like finial. Each item also sits on a wide foot repoussed with acanthus-leaf borders. 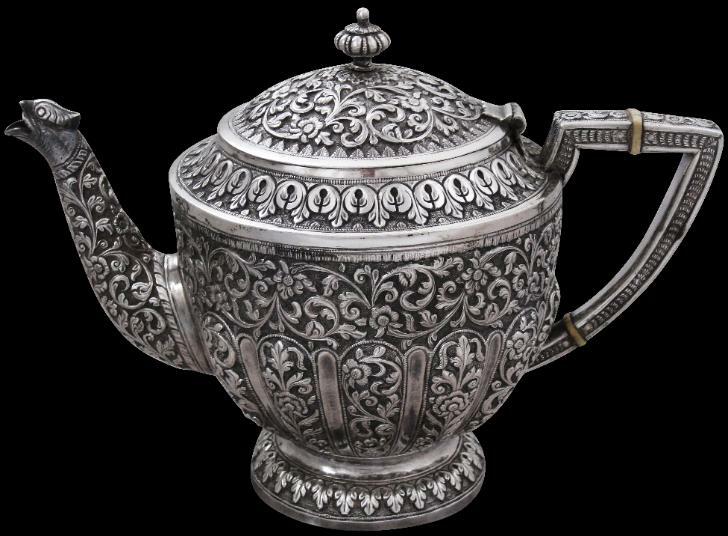 The set is not marked or signed but a very similar teapot by the Karachi-based maker J. Marikrai is illustrated in Wilkinson (1999, p. 91). 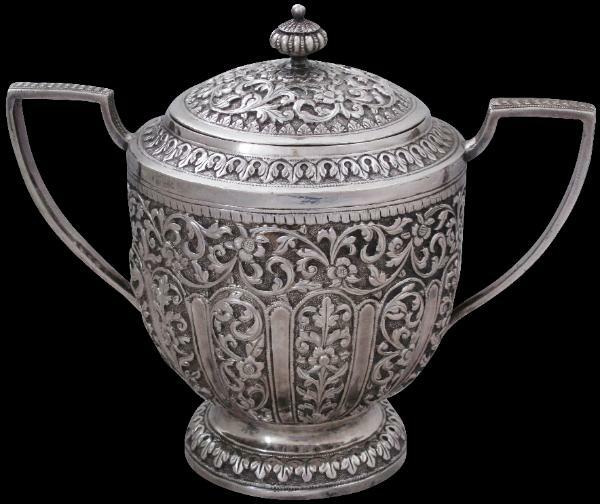 Wilkinson observes that as a result of the 1899 famine in Cutch many silversmiths left Cutch and settled in Karachi where they re-established their workshops. They soon developed a style that is distinctive from although similar to the work that continued to be done in Cutch. The decoration often is divided into panels, as with this set, the relief is slightly higher, and sunflower-type motifs are employed, again as with this set. The work often is of a very high standard and the compositions carefully presented.